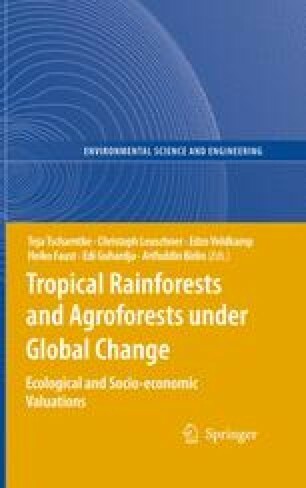 The current state of tropical forest cover and its change have been identified as key variables in modelling and measuring the consequences of human action on ecosystems. The conversion of tropical forest cover to any other land cover (deforestation) directly contributes to the two main environmental threats of the recent past: 1) the alteration of the global climate by the emission of carbon to the atmosphere and 2) the decline in tropical biodiversity by land use intensification and habitat conversion. The sub-continent of Southeast Asia exhibits one of the highest rates of forest loss and comprises one of the regions with the highest amount and diversity of flora and fauna species, worldwide. The knowledge of the spatial and temporal trends in the variation of forest cover in tropical regions is a prerequisite for the development and establishment of mitigation strategies from the global to the regional level. However, there is considerable disagreement in recent estimates of tropical forest cover change ranging from continuing and intensified decline in forest loss to a distinct decrease in deforestation rates and up to stagnation in other cases. Against this background, the present study aims at a review and comparison of recently available global forest cover estimates for the region of Southeast Asia. In a case study, the results at the national level will be compared to an analysis at the regional level for the island of Sulawesi, Indonesia. The outcome of the study provides recommendations for future remote sensing based forest assessments in tropical regions.